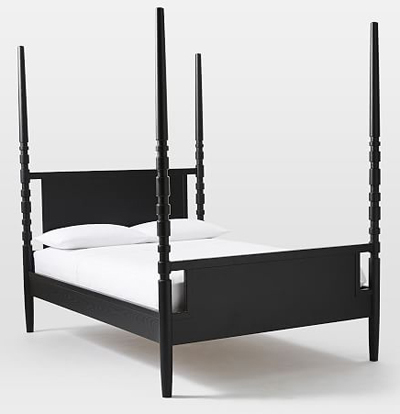 Matte black powdercoated iron streamlines the classic canopy bed in dramatic silhouette. 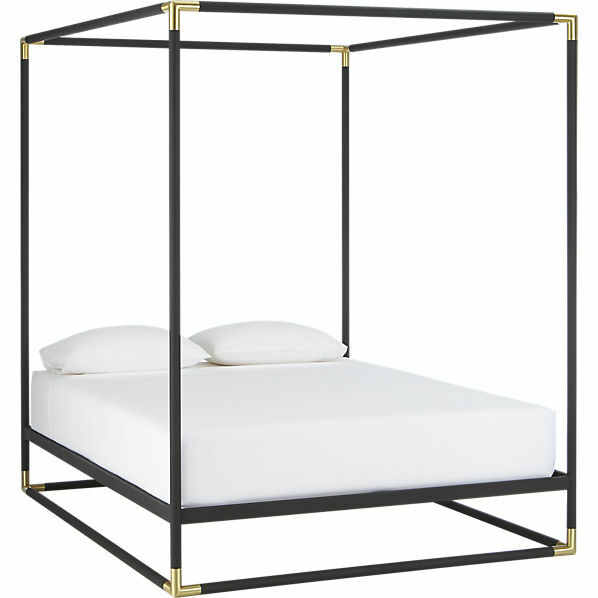 This Frame Canopy Bed is edged with iron corners finished in glam plated brass. $699-$799. Buy here. Create a dramatic focal point in the bedroom with this Tabitha Poster Bed. Crafted of ash wood in a matte black finish, it combines the best of modern and traditional design. $1,099-$1,299 Final Sale $399.99-$599.99. Buy here.